This experience will take place in the buyers own home. Jo can travel anywhere in the Ripon area (25 mile radius from HG4). Minimum age for the activity is 14. Under 18s must be accompanied by adults even if they are not taking part in the activity. This experience is for buyers in the Ripon area (25 mile radius from HG4). The Christmas Baubles felt making taster experience for up to 4 people costs £120 including all materials. Minimum age for the activity is 14. Under 18s must be accompanied by adults even if they are not taking part in the activity. Maximum of 4 people in each group. 7 days cancellation policy. 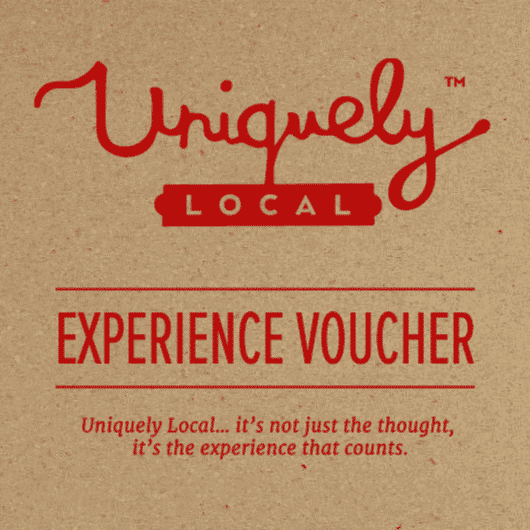 Vouchers valid for 1 year from date of purchase. Learn how to create beautiful felt Christmas baubles. Jo will show you step by step the secrets of combining ‘needle’ and ‘wet’ felting using soft merino wool to make a variety of felt baubles. 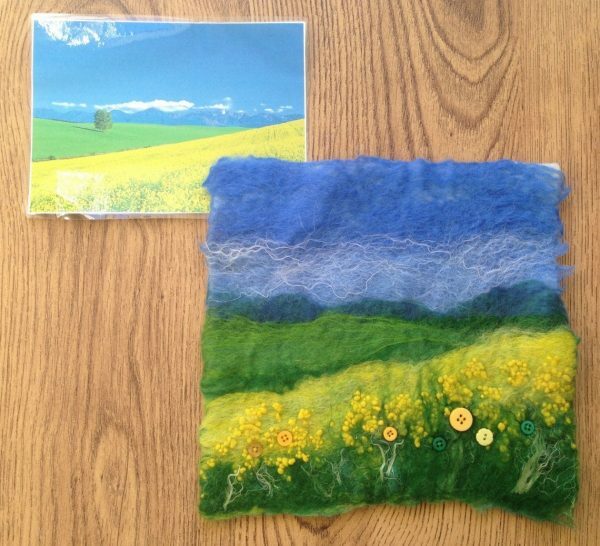 Enjoy a fun felting workshop in the comfort of your own home with friends and family. Ideal for beginners or intermediates. This is a two and a half hour workshop which takes place in your own home in the Ripon area (Jo can travel within a 25 mile radius from HG4). 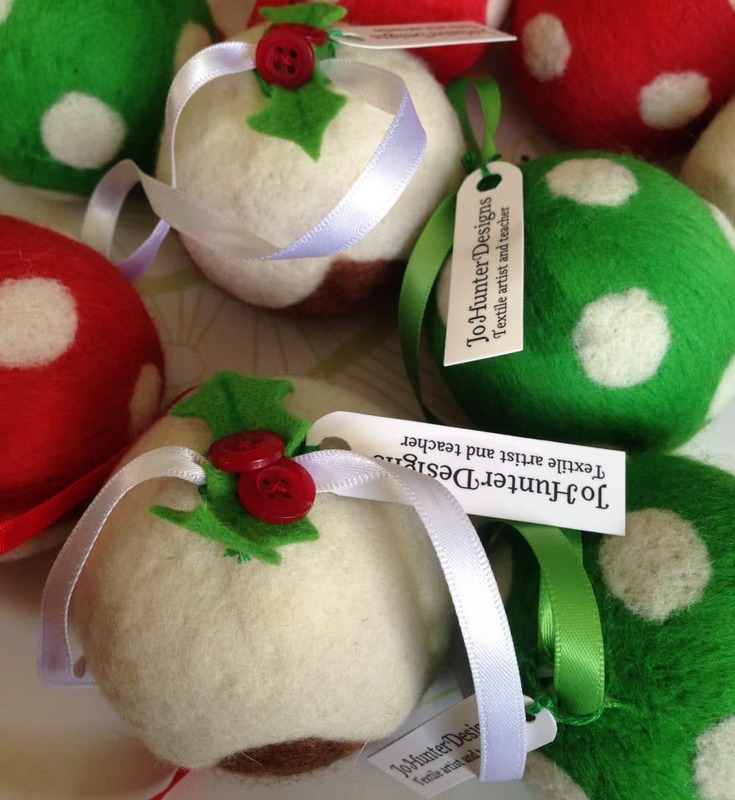 Our Christmas baubles felt making taster experience is run by the very talented Jo Hunter. 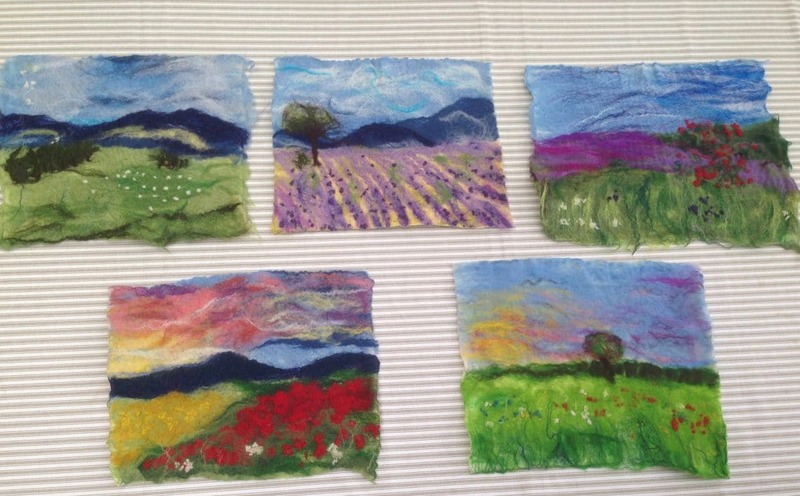 Jo is a textile artist and teacher working in Yorkshire. She produces unique pieces of felted art and runs felt workshops teaching others, step by step, how to produce their own fabulous paintings with felt. Jo also runs a ‘Paint with Wool’ group felt making experience.